For most home owners, maximizing the space of their homes is one important thing to consider. We make sure that there is enough space for everything we need. This is true to all areas of the house including the living room, dining room, kitchen, bedroom and even the bathroom. It is fulfilling on our part if we are able to find an intelligent solution to save space just like using furniture and other items with multi-function. Today, we will show you another item that shows how we can make the “heart of the home” a stylish space while making it functional and useful. We all want to have a kitchen island because of the convenience it brings in cooking and preparing food. But what about if your kitchen island has another valuable function aside from what it is intended for? Like this one from The Myers Touch who have designed an inviting built-in sofa for a kitchen island. The design looks modern and very stylish that will make you happy and proud of your own kitchen space. Isn’t this a beauty? I’m pretty sure you will agree with me. 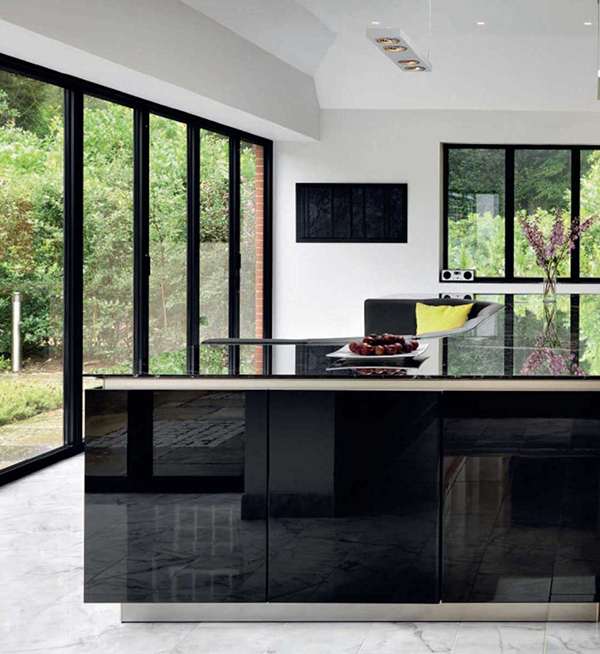 Just look at its curves and its glossy finish for the island. The soda looks comfortable. I’d spend time sitting there with a good book. Or I can let my daughter watch me prepare food while she is on the sofa. The countertop as well as the high-gloss material of the island contributes to the aesthetics of the entire island as well as the whole kitchen too. Note how the island’s color and design is matched well with the other parts of the kitchen too to create coherence. The overall design of the kitchen island as well as the kitchen appliances meet both the practical and aesthetic needs of the owners, creating a relaxed environment to live in. Beautiful kitchen island, right? Aside from its dual function, the design really is gorgeous. 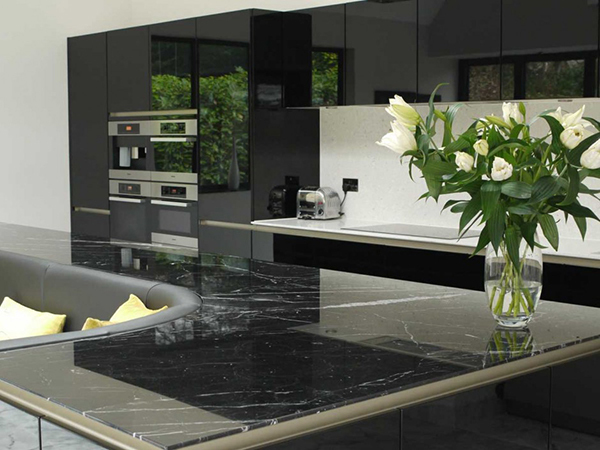 The Myers Touch is known in making “bespoke kitchen living spaces that offer far more than conventional cooking environments”. For sure, after seeing what they did above, you are convinced of what they can do. This is really a kitchen island that we all want to own. Do you want this too? Let us know your thoughts about this kitchen island and sofa in one.